Great adjustability. The bracket can be flexibly adjust up, down, left and right. 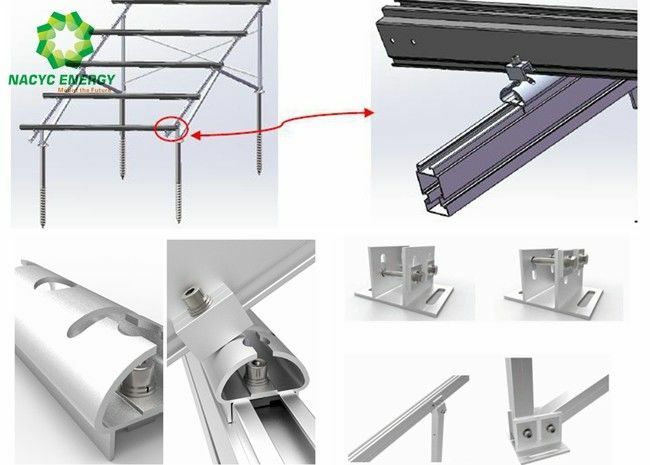 Engineered design with aluminum system in high standard and great endurance. 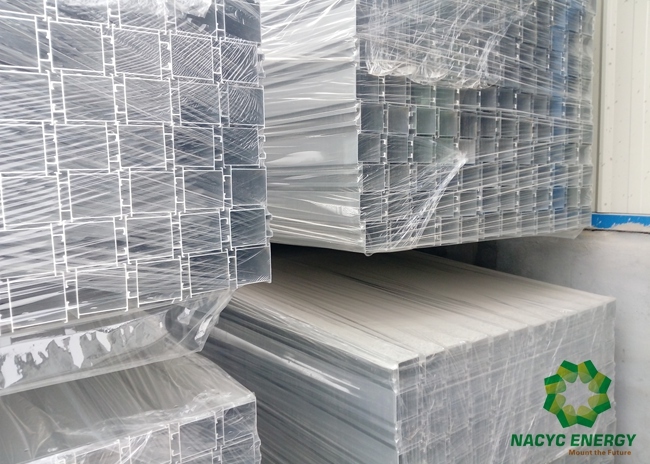 The maximum life time can be due to the high corrosion resistance performance and the system is completely recyclable. 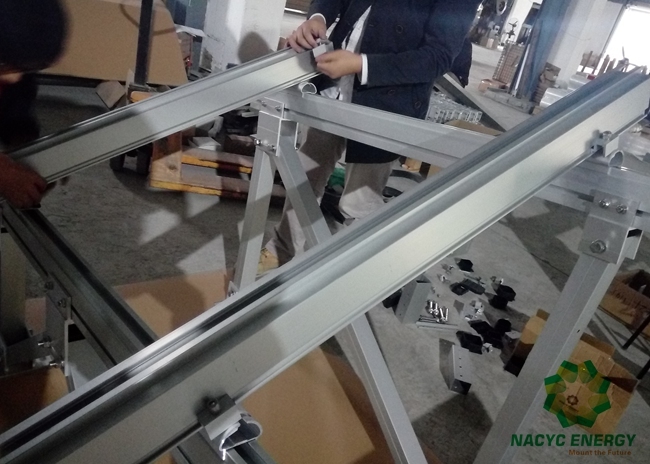 Most parts are pre-assembled, greatly saving costs on labor and cost. Ideal for rolling ground or slope.